I have tried to use the development board Arduino in my classes. The result looks good until now. The first course in programming aims to enable students to understand the structure and learn to think programming. 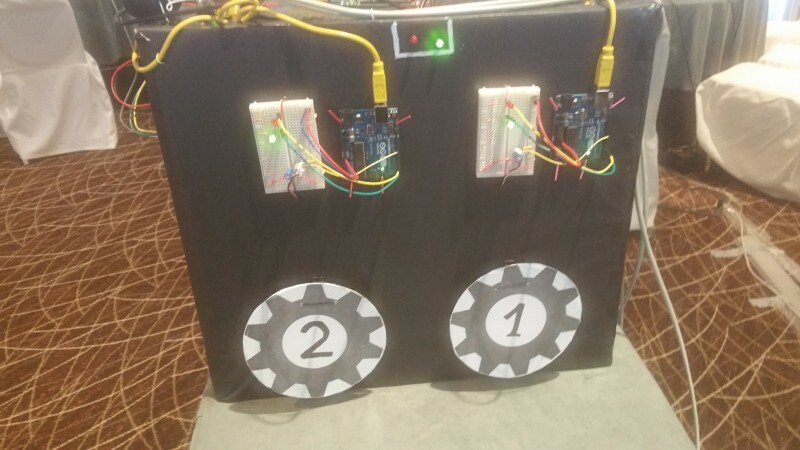 My idea is that it’s fun to learn how to program the lighting and extinguishing of LEDs, control a motor, or anything else that visually is more fun than a text on the screen. Picture of my class when programming my Arduino Christmas tree. I am safely arrived home after a fantastic conference. 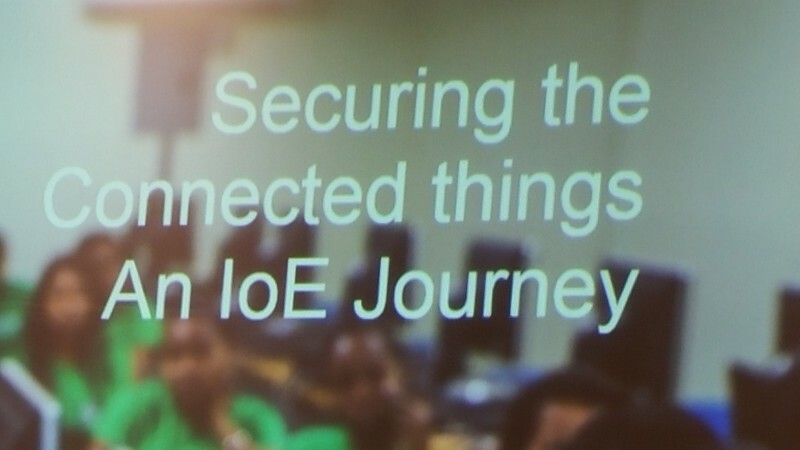 It was nice topics and mostly it was focused around IOE (Internet Of Everything). – David Bevilacqua was talking about yhe forth industrial revolution. He talked about the change in skills for the new employies. There was other speakers who was talking about Cisco’s Innovation and Programs in supporting National Agendas and Education System Evolution. After lunch we had different Seminars. 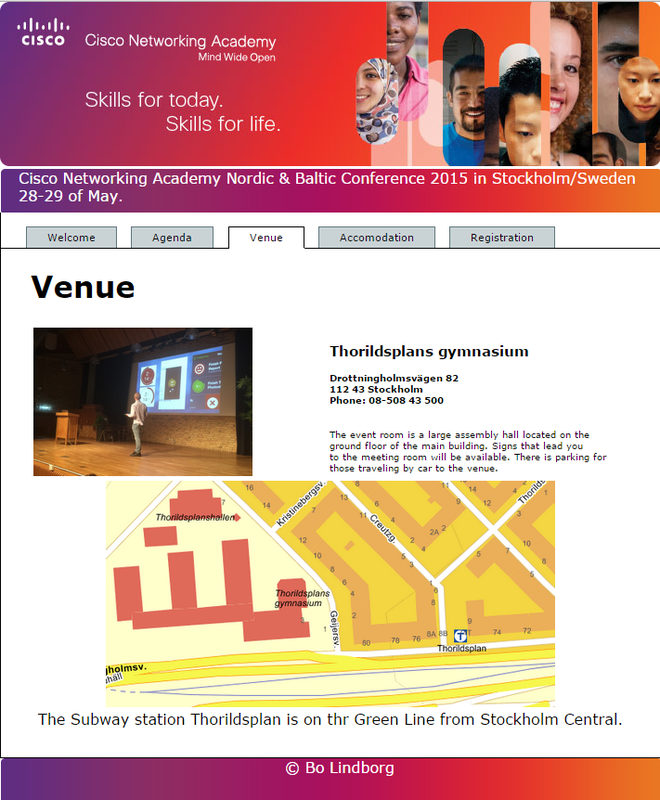 I was attending a seminar about “Running a Student Internet Of Everything Hackaton”. 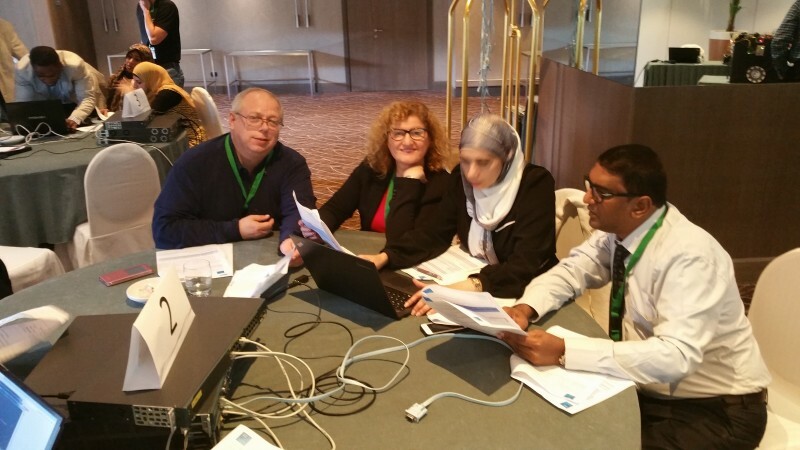 It was Marc Khayat, one of the Technical Managers to lead this seminar. Later the same afternoon I was at a workshop with the title Enable a Baseline for Connecting the unconnected (IOE). At this workshop the tools was Arduino, Raspberry Pi and Laptops. We was using the network to reading different sensors. 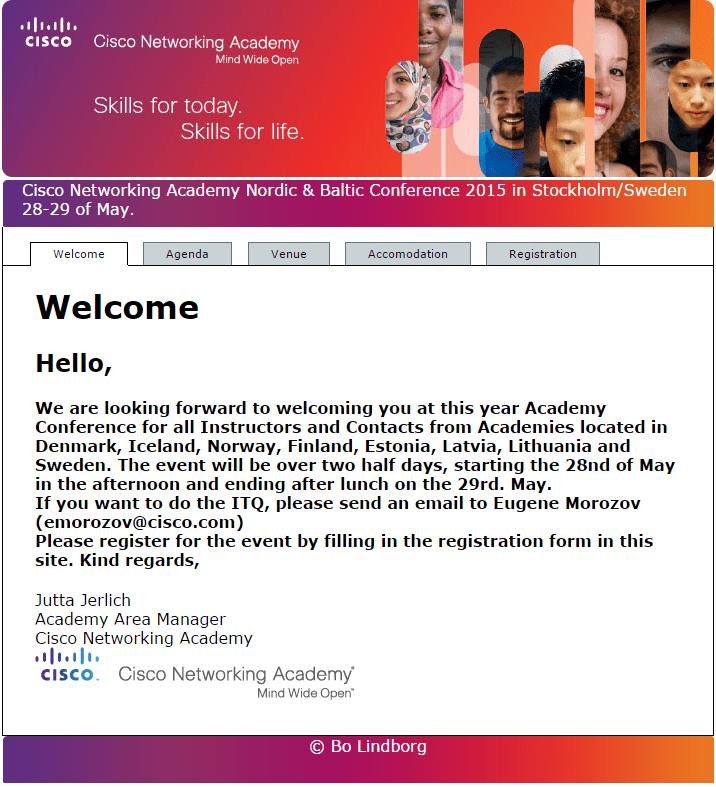 I am the organizer host for the Cisco Networking Academy Nordic & Baltic Conference. The Conference veneue is at my work Thorildsplans gymnasium. We was planning to use a registration site from Cisco. But it takes very long time to have it processed. So I make my own Registration form. 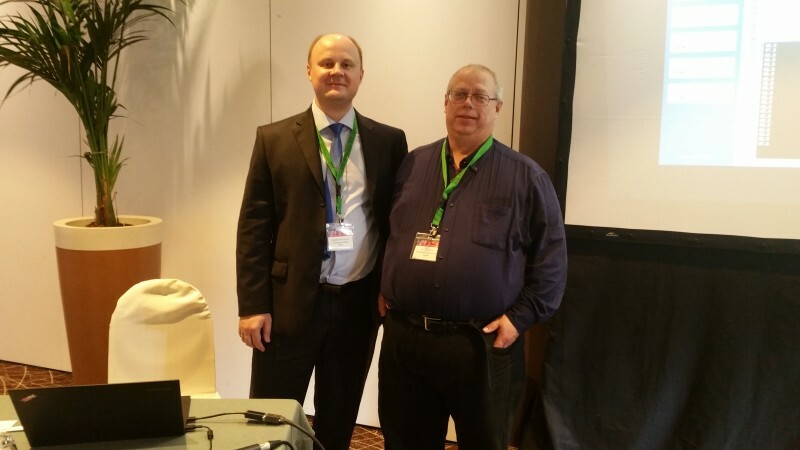 Here is a Link to Jutta Jerlich blog, she and me is responsible for the conference.